Pruett is speaking of her library’s experience with the Edge Initiative, a management and leadership tool library staff can use to evaluate and strengthen public access technology services to achieve community goals. The Edge Initiative, often referred to simply as the Edge, will begin a nationwide rollout in January. Pruett’s library was one of the first early adopters. The Edge Initiative has been three years in the making, and was developed by a national coalition of library and local government organizations, funded by the Bill & Melinda Gates Foundation, and facilitated by the Urban Libraries Council (ULC). ALA’s Office for Information Technology Policy and Public Library Association (PLA) are among the coalition members. The coalition’s vision is that all people should have opportunities to enrich and improve their lives through open access to exceptional information, communication, and technology services available in public libraries. As public libraries struggle to fund both traditional and new digital services, and advances in information technology seem to speed up exponentially, Edge tools can help improve—or even transform—libraries’ public access technology services. Organizational management: Internal policies and practices, as well as the technology infrastructure to sup­port public access technology. Using this three-legged stool, the benchmarks evaluate technology services from the outside in as well as the inside out. The benchmarks encompass activities, pro­grams, and services that include digital literacy; online content creation and delivery; strategic partnerships; staff training; and technology management. Each benchmark includes one or more specific indicators that represent varying levels of achievement. The Edge framework is a voluntary rating system designed as a self-assessment tool. After adequate responses are gathered within nine months, libraries also will be able to compare their scores with others of similar characteristics that have participated in the initiative. 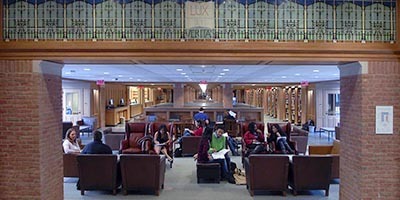 Two major inputs informed benchmark development: library best practices and research conducted by the Uni­versity of Washington and the University of Maryland (see Related Research Projects sidebar below). Community priorities reflected in the benchmarks, such as education and e-government, were among the top uses of library technology documented in the 2010 US Impact Public Library Study. The development of measurement frameworks is typi­cally iterative, and it has been critical for Edge developers to receive feedback from around the country. Librarians and local government leaders have helped shape the benchmarks through an online survey, interviews, beta testing, focus groups, and public meetings at profes­sional conferences. “On the ground” feedback has been gathered from eight pilot libraries and a soft launch of V1.0 benchmarks with more than 160 libraries in seven states in late summer 2012. Among the key questions for the coalition were: Are the benchmarks relevant and attainable as well as aspira­tional for libraries of varying sizes? Do they provide a road map for assessment, improvement, and advocacy? And how easy (or difficult) are they to use? Libraries serving communities from 800 to 1.3 million people responded that, yes, the benchmarks were mean­ingful regardless of community, staff, or budget size. Potential users helped identify desirable attributes, as well as possible challenges and barriers to adopting them. From this feedback, the coalition refined indicators to better reflect actual practice, adjusted scoring accord­ingly, and streamlined the framework. Throughout this process, the coalition learned more about where transformation happened. Most strikingly, the Edge program helped create a shared understanding of technology strengths and gaps among library staff (see ‘A Library on the Edge’ sidebar below) and community stakeholders. The as­sessment is only the beginning of a series of conversations connecting local needs with library technology resources and services to build stronger communities. “Be it helping residents continue their educations, find jobs, access e-government services, or connect with family and friends, libraries play an essential role in helping local government meet their greatest challenges by con­necting their services to critical community priorities,” says Robert J. O’Neill Jr., executive director of the Inter­national City/County Management Association. “From the city manager’s seat, we constantly speak with our elected officials about assessing, improving, and demonstrating value, and Edge speaks directly to that,” says Alexandria (Va.) City Manager Rashad Young. The Edge toolkit is available to all libraries that complete the assessment to support incorporating results into overall library planning and advocacy. Training to help meet planning, management, and outreach goals tied to the library’s evaluation. The workbook is available to review prior to starting the online process. Completing the workbook first expedites the process and ensures more accurate results through the subsequent phases. The online Edge assessment takes library staffers through the benchmarks and the various indicators to inventory and evaluate current services. 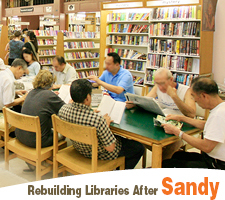 Upon completion, libraries receive a results report. 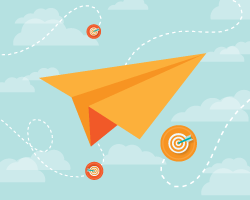 The report can be down­loaded, saved, and shared with relevant stakeholders. Results also point to resources and tools that libraries can use in identifying improvement opportunities. Libraries can then select priorities from their results to build an action plan anchored in the community’s strategic goals. Sharing results and plans is an essential part of the Edge package. Presentation slides and handouts are available to show the library’s community outcomes to high-level stakeholders. Miami (Okla.) Public Library Director Marcia Johnson shared her library’s results with the entire staff and had them develop ideas in small groups to in­corporate into the library’s tech plan, city departmental goals, and long-range plan. She also presented the results to the library board, Friends group, city council, and a community focus group. Finally, PLA has designed a comprehensive training curriculum. This training is not specifically meant to help improve benchmark scores. It is designed to learn how to use benchmark results to support planning and transfor­mation in four areas: community assessment and planning, technology management, advocacy, and library leadership. Participants may take all the courses or pick the ones that align best with the strategic priorities identified during the assessment. Two members of the Edge coalition, the University of Maryland Information Policy and Access Center (iPAC) and the University of Washington iSchool, are leading two related research efforts that interface with and support the Edge Initiative. The Digital Inclusion Survey is conducted by UMD iPAC and ALA’s Office for Research and Statistics and funded by the Institute of Museum and Library Ser­vices. The survey explores the roles public libraries play in providing public access technology infrastructure re­sources and capacity; digital content, services, and ac­cessibility; digital literacy; and domain-specific services and programs (e.g., civic engagement and education). 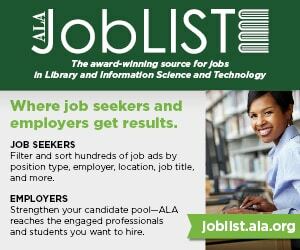 Participating libraries will be able to interactively view their library in context with community-level data, such as unemployment rates, income, and education levels. The survey also provides a way for libraries to inven­tory many of the public access technology services and resources included in the Edge benchmarks. UW’s Impact Survey, funded by the Bill & Melinda Gates Foundation, is an online survey tool that allows public librarians to survey their patrons about technol­ogy services, eliminating the time and effort to create a survey and analyze responses in-house. Libraries link to a survey designed and hosted by the iSchool and make it available to patrons through the library website and computers. 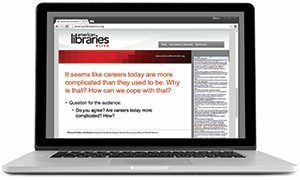 After the survey period is complete, libraries will receive the survey responses from their patrons already analyzed into a variety of formats and reports, as well as the raw data. Gathering this patron-level data about their technology use directly supports Benchmark 4 in the Edge assessment. Viewed together, the two surveys and Edge cre­ate a valuable story for library advocates. 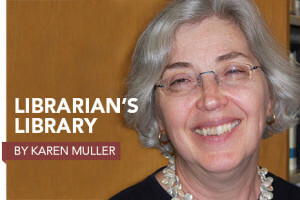 “The richer the data, the stronger the case we can make to our local stakeholders and public governing bodies as we seek to keep library resources in step with advances in technology,” says Urban Libraries Council Director Susan Benton. Lansing (Ill.) Public Library Director Debbie Al­brecht embraced the opportunity to be an early adopter of Edge. She pulled together her staff of 37 to complete the online assessment as a team, which enabled everyone to get a complete 360-de­gree view of their involvement with technology. “The process and the results were enlightening to our whole staff—including me. The best part is that Edge didn’t just show where we were not as strong as we’d like to be, but it also points out ways we can improve in these areas,” Albrecht notes. The library sees room to improve in ensuring every staffer understands the basics of technology (Benchmark 8). Albrecht wants to use this opportu­nity to bring everyone up to the same level with new training. LARRA CLARK is director of the Program on Networks and the Program on America’s Libraries for the 21st Century at ALA’s Office for Information Technology Policy. MARY HIRSH is project manager at ALA’s Public Library Association. Learn more about Edge at libraryedge.org.